Being fitness conscious is quickly becoming a priority for many and there are a lot of companies vying for the attention of those looking to buy a gadget that tracks their activities throughout the day. A smartwatch is such a gadget and for some, it is a better choice than buying a regular old school analog watch. 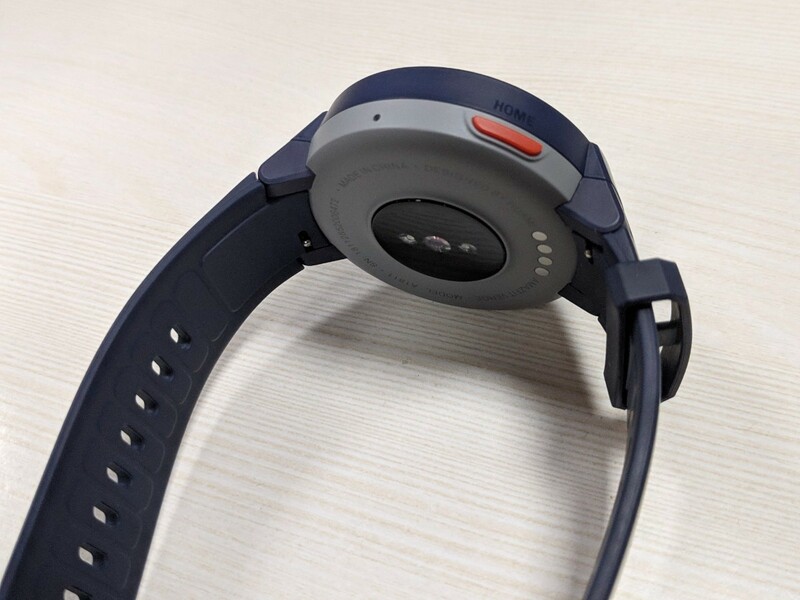 Xiaomi-backed Huami launched its next smartwatch under the Amazfit brand — the Amazfit Verge — at a price-tag of Rs 11,999 in India recently. The wearable comes with 512MB of RAM and 4GB internal storage and is powered by the Huangshan No. 1 processor which is said to be the leading chipset for wearables. The Amazfit Verge is compatible with both Android and iOS devices. It is backed by a 390mAh battery which Huami claims will deliver a backup of 5 days. 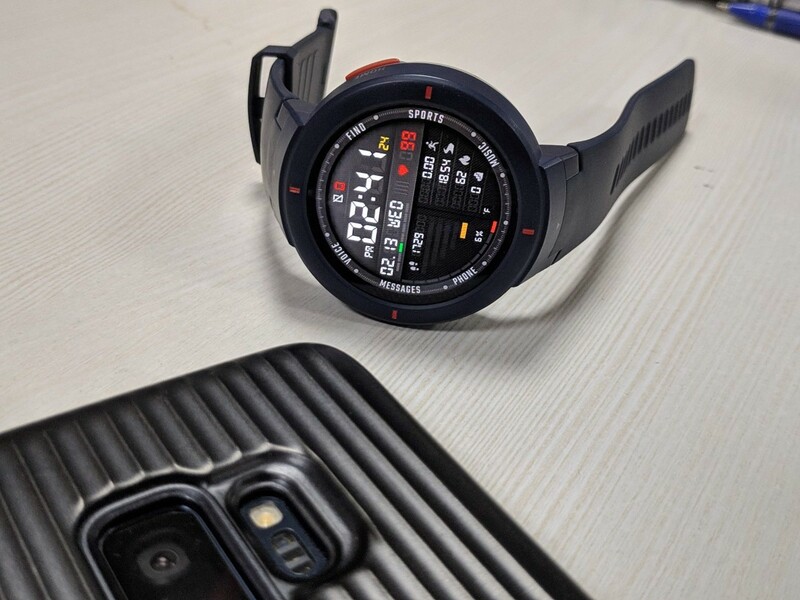 The smartwatch comes with an array of sensors like accelerometer, Ambient Light sensor, gyroscope, geomagnetic sensor, air pressure sensor and wearing detection sensor. The Amazfit Verge comes with a plain, round-dial 1.3-inch AMOLED display with 360×360 pixel resolution. At first glance it looks like one of those dummy toy watches made for kids. The display is protected with a layer of Corning Gorilla Glass 3 on top and comes with rubber wrist straps. The smartwatch has got a durable build and could survive a fall. There is a lot of information packed for the size of the display it carries. The display shows the current time in a font style reminiscent of old digital watches at the top, below the current battery level. Below the current time are present the current day and the heart beat. This much occupies the upper half of the perfectly-circular dial. The lower half of the circular dial shows the number of steps that you took most recently, calories burned etc. and other information. In terms of design, the Amazfit Verge doesn’t score that highly. The smartwatch takes around 2-2.5 hours to charge fully. It settles comfortably on the wrist with the rubber straps. It is quite lightweight and the rubber straps get dried soon of sweat after workout sessions. Swiping left on the dial will bring a screen that has icons like Health, Heart Rate, Sports, Sleep, Activities, Phone, Music, Weather, Alarm, Timer, Stopwatch, Compass and Settings. 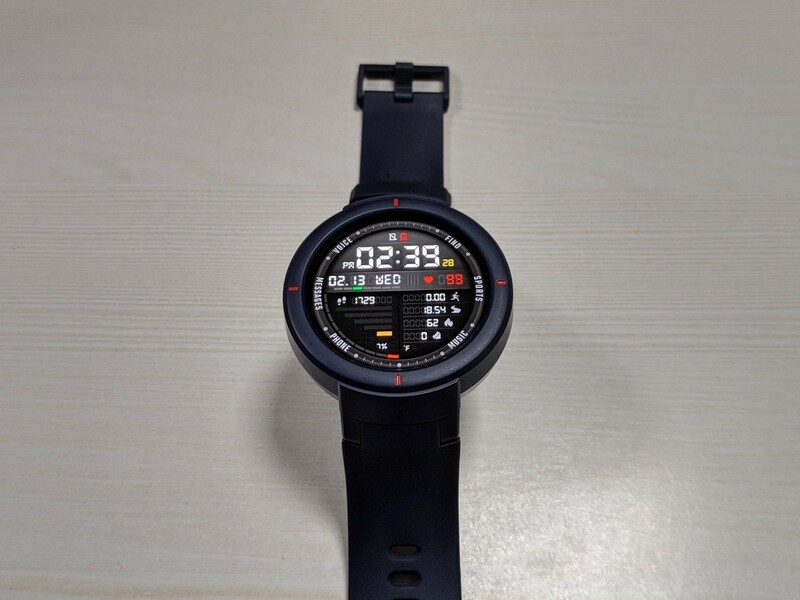 The watch has got these sports modes: Run, Walk, Cycling, Run Indoor, Indoor Cycling, Elliptical Trainer, Climb, Trail Run, Skiing, Tennis, Soccer and Rope Skipping. You could listen to music too with Bluetooth connectivity. Under Settings, there are Wi-Fi and Bluetooth settings; you can set the preferred language, the time format (12-hour or 24-hour); there are also Do Not Disturb and Airplane modes. You can also adjust the brightness, volume and vibration intensity of the watch. You could access all these features quickly by just swiping down from the top of the display and also by accessing them separately. Swiping up from the bottom of the screen will let you know of the current battery status, a summary of your weekly activities and other details. The brightness needs to be near maximum or maximum for it to be clearly visible during the day. Otherwise, you need to increase it. That means faster battery drainage too. Sports History shows the total distance covered by you in all the activities that you have tracked with the watch. It also shows the total number of times you did an activity and the total calories burned. 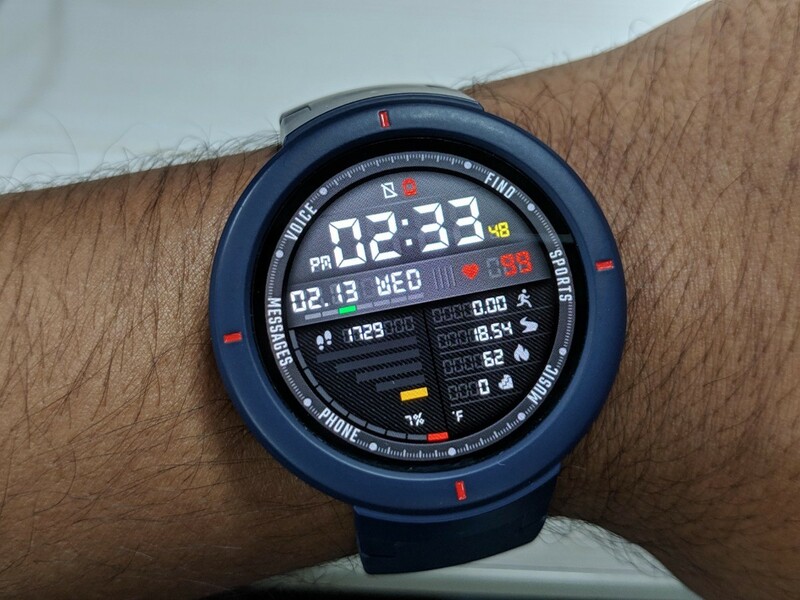 The Amazfit Verge would serve you well for 3-4 days if you are using it only for tracking for about 30-45 minutes per day. Else, you will need to charge it more often. 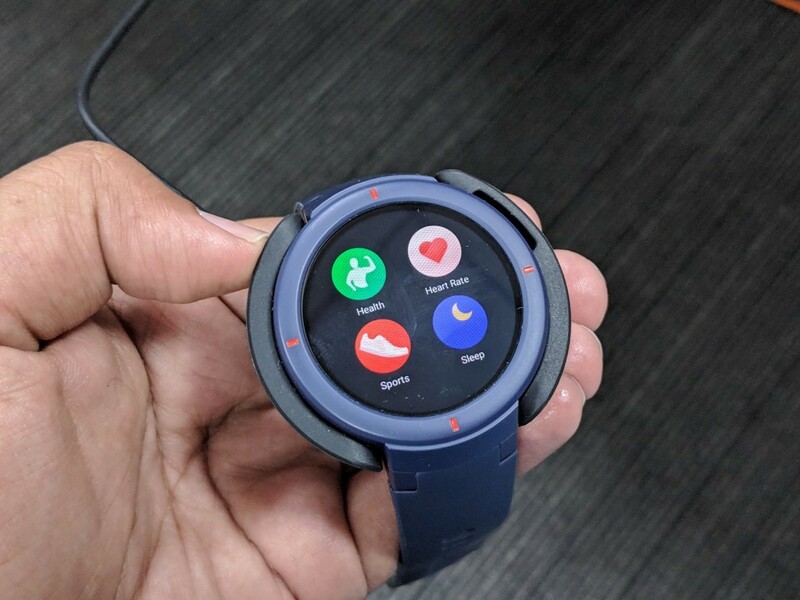 You can keep a track of all the activities with the help of the Amazfit Watch app available on Google Play Store. 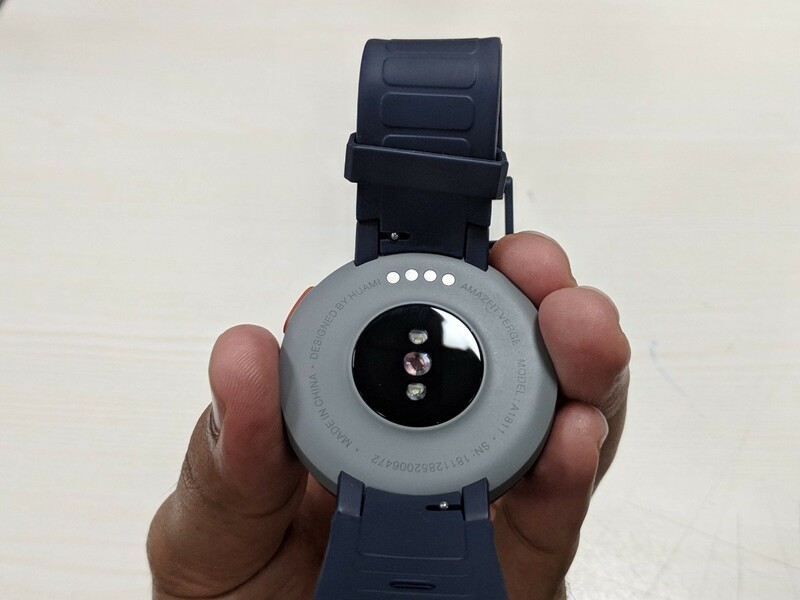 One of the features that we liked in Amazfit Verge was accurate motion sensing. The smartwatch senses the type of motion that you are doing like walking, running etc and sends an alert — with a vibration to remind you to look at the watch — without pre-setting the watch for a certain type of activity. For example, even if you haven’t set any activity goal on your watch or are not tracking the number of steps, and are walking at a brisk pace, the Amazfit Verge will send you a message which says that it has been detected that you are doing sports walking and whether you would like to track your progress in that mode. The smartwatch also sends a notification if you have been sitting for a long time to make you get up and move around a bit. Sensing the heartbeat is fairly accurate but sometimes the sensor was not able to track it properly. Since it takes some 10-15 seconds to tell you the heart rate, the few times that the smartwatch couldn’t track the heartbeat well were a bit annoying. Moving or shaking the wrist brings the display to life but that is not instantaneous as it should have been. Most of the time, a single tap on the display is not enough for an icon to respond. It would have been much easier had the user been able to wake the display with a single tap. That brings us to the display which suffers from some major issues. First, when the display is off, there is no way you can wake it up with a tap. Why would someone want to press a button just to wake up the display in a touch-screen smartwatch? Secondly, the touch-screen should have been instantaneously receptive to the touch, which it isn’t. Or, to be more accurate, sometimes it does and sometimes it does not. Many a time we had to tap thrice or more on an icon before the input could be registered. Amazfit Verge is a lightweight wearable with easily accessible features. It does not require a lot of time to learn navigating around it. The sports and heartbeat tracking is fairly accurate. Had it not been plagued with the touch screen issues, it would have scored pluses on nearly every front. But it did not and we expect a glitch-free smartwatch from Huami the next time.